On Thursday I evaded the week’s responsibilities and biked downtown to pick up warm-from-the-press copies of GreenTOpia: Towards a Sustainable Toronto (Coach House, 2007; I’m a contributor) and stopped by the St. Michael’s College book sale. A smaller sale than the others, but still offering its own treats and treasures. Gwendolyn MacEwen’s The T.E. Lawrence Poems (Mosaic, 1982). The brilliance and beauty of MacEwen’s poetry takes my breath away. Former city councillor Jane Pitfield’s Leaside (Natural Heritage Books, 2000: second edition). The writing is a little wooden, but this book seems thoroughly researched and is richly illustrated with archival images and addresses a part of Toronto often overlooked by other historians. Jeffrey Miller’s Toronto novel, Murder at Osgoode Hall (ECW, 2004). Chatty but amusing. Charles Foran’s The Story of my Life (So far) (Harper Collins, 1998), a Toronto-based memoir narrated as if by a young boy, and featuring the Don River and its ravine. Also some books for pleasure reading and/or gifts, including David Larkin (with Julek Heller, Carolyn Scrace, Juan Wijngaard and Sarah Teale)’s Giants (Abrams, 1979), a classic illustrated anthropology and archaeology of the giants the authors suggest once strode the earth; Catherine Sheldrick Ross’ Alice Munro: A Double Life (ECW, 1992); Beatrice Culleton’s April Raintree (Pemmican, 1984); John Metcalf’s edited anthology, The Bumper Book (ECW, 1986), a collection of essays about Canadian writing and publishing and a follow-up to Kicking Against the Pricks (1982), which reportedly raised a fuss when first published for its expose of Canadian literary politics. 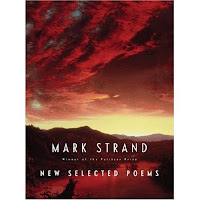 And then I sped over to Ben McNally Books (366 Bay, a block or two south of Queen) and bought a copy of Mark Strand’s New Selected Poems (Knopf, 2007). Strand is my favourite poet, period. Pity he’s never written a word about Toronto. 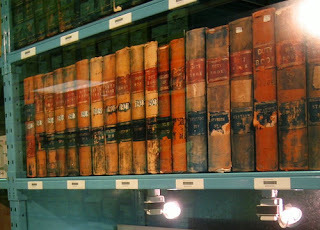 And now, with the book sales ended and the season cooling as the sun turns away from the hemisphere, I turn inward. I’ve made considerable progress on the intellectual underpinnings of Imagining Toronto despite taking on too many other projects at the same time, and would like now to return to it on a more full-time basis with the aim of finishing it off as a coherent manuscript rather than simply whoring bits and pieces of it out to magazines and journals.